mom*tog is having a week of amazing giveaways. Oh my gosh I want that T-Shirt! That mask must be a vintage mask, it's so awesome! What a cutie! 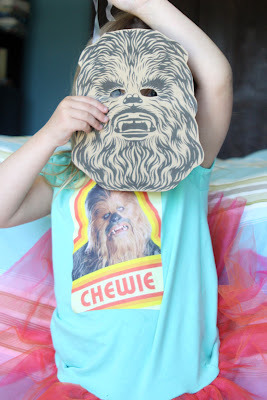 i love the fact that she's a little girl who actually LOVES chewbacca haha she reminds me of me when I was about her size! Sooo cute! I love this room! LOVE the Chewbacca mask - totally awesome. Also, I need to win the giveaway! Crossing my fingers. I LOVE that shirt and mask so much I can't stand it!!!! she is so cute...this post just cracks me up !! Goodness---chewie, tutus AND rainbow tights---absolutely adorable! you know i love this! 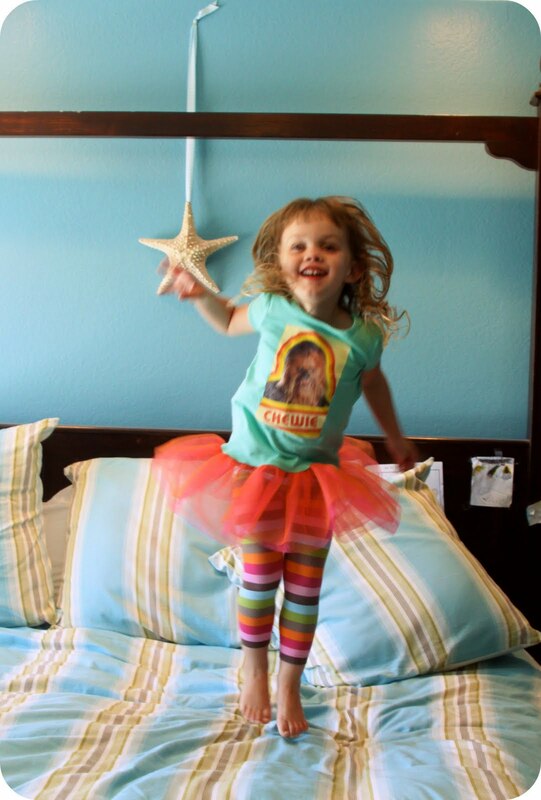 i heart me some chewy, especially in tutu shirt dress form. fan.tastic! hehe....my brother in law's bday on 4May, so he hears it every year!